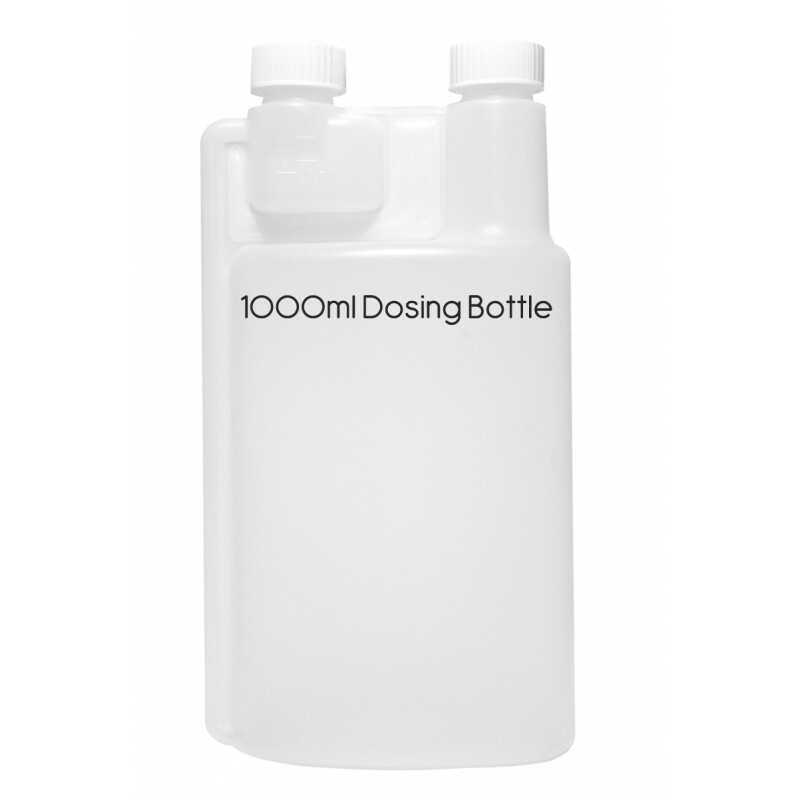 Twin Neck Child Resistant Closure Dispenser / Dosing Bottles. 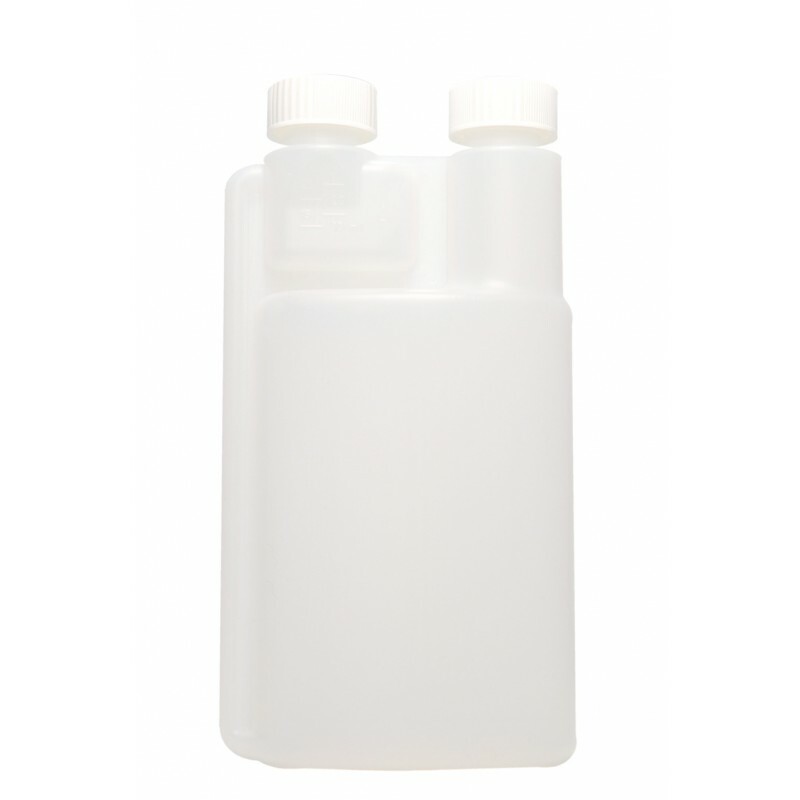 Dispensing / dosing containers are designed to dispense a measured amount of fluid by a single-handed operation. 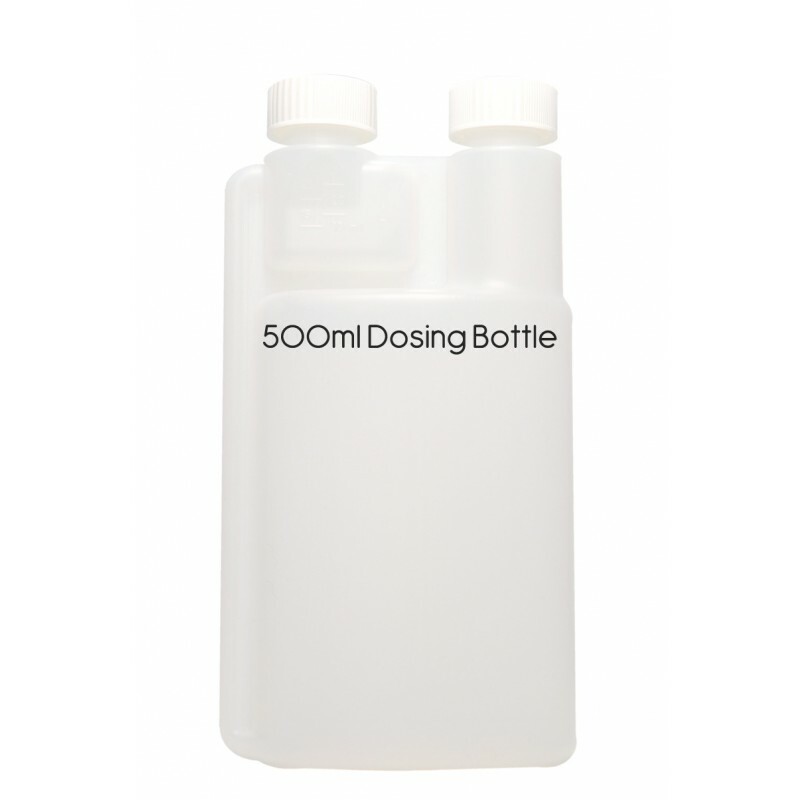 In use, loosen the chamber cap, gently squeeze the filled dispenser bottle with one hand, filling the dosing chamber to the required amount. 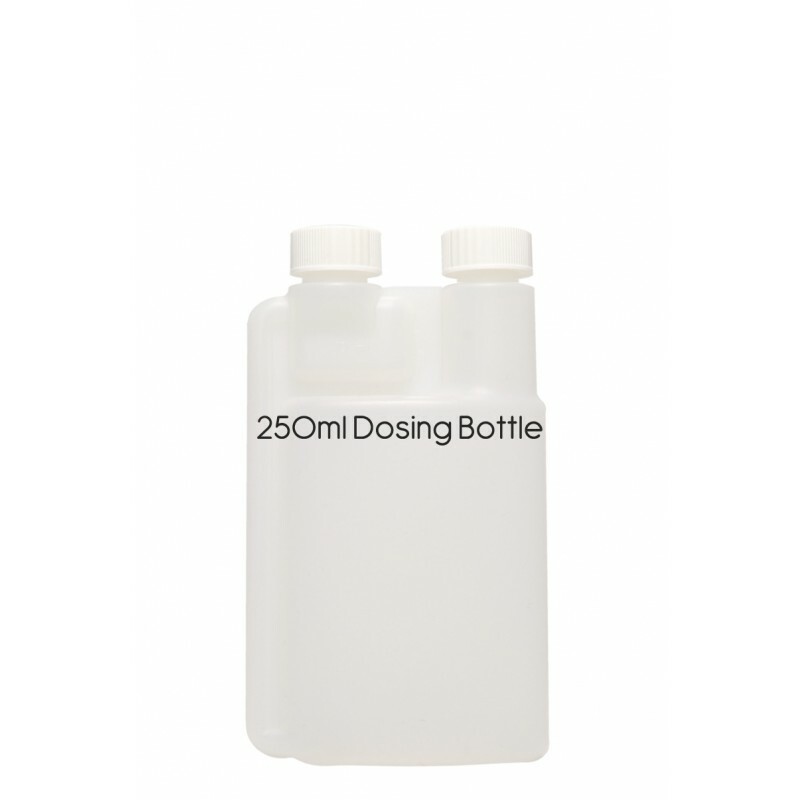 The chamber cap is then removed allowing the measured amount to be dispensed with ease from the chamber. Spillage of substances is avoided and the dispenser container overcomes the traditional two-handed filling of liquids into a separate measuring cap. Shipping fees include packing fees as well as postage costs. Packaging fees are fixed, whereas transport fees vary according to the total weight of the shipment. We advise you to group your items in one order. Packaging is amply sized, and your items are well-protected. We aim to ship orders within 1-3 working days. Sometimes delays will occur because of national holidays etc., we will always ship as soon as we possibly can. All orders up to 2kg will be sent with Royal Mail (1st Class) Signed For service. All order over 2kg will be sent via a courier, sometimes depending on the makeup of the order, we will split into 2 parcels and ship via Royal Mail. Get an Exact quote for delivery, add the items you would like to purchase to the shopping basket, and then head to the shopping basket page. Here, you will find a postage calculator that will combine your items to provide you with instant delivery options and quotes. Please note you DO NOT need to register or enter any personal details to get a postage quote. Free shipping for all [UK] orders over £60. Free shipping will be shipped by whatever method we deem best for the products chosen. Free shipping is for UK mainland only. No free shipping to Europe or the Rest of the World. For customers who do not notify us within 30 days of their product not arriving, we cannot offer a replacement or refund. You must apply or notify us before that time period. After 30 days we are no longer able to claim by royal mail. To ensure we successfully deliver the items to the address our customers supply, please ensure you supply Aquarium Plant Food UK with a full and correct delivery address. All courier deliveries will arrive 1-2 days [after dispatch] - Unless you are in a Highlands/ Islands, Northern Ireland or European Location. If for any reason your parcel does not arrive please contact us as soon as possible.